This year was special. 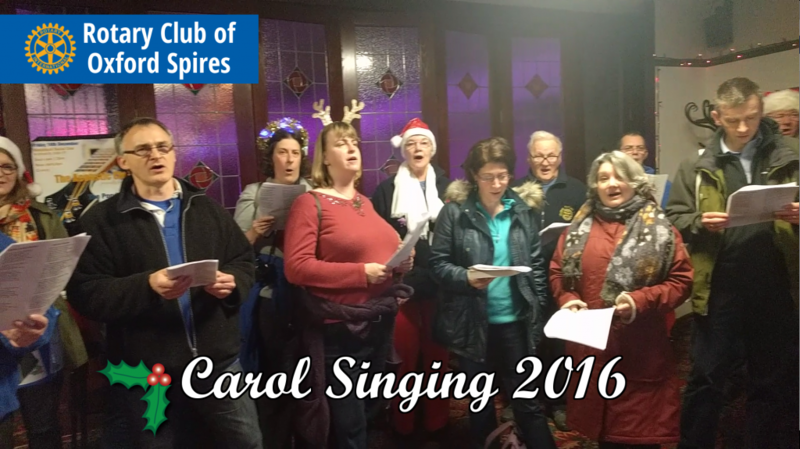 After many years of singing with us, a friend of Oxford Spires Rotary Club and a dear friend of one of our members, had sadly recently passed away. 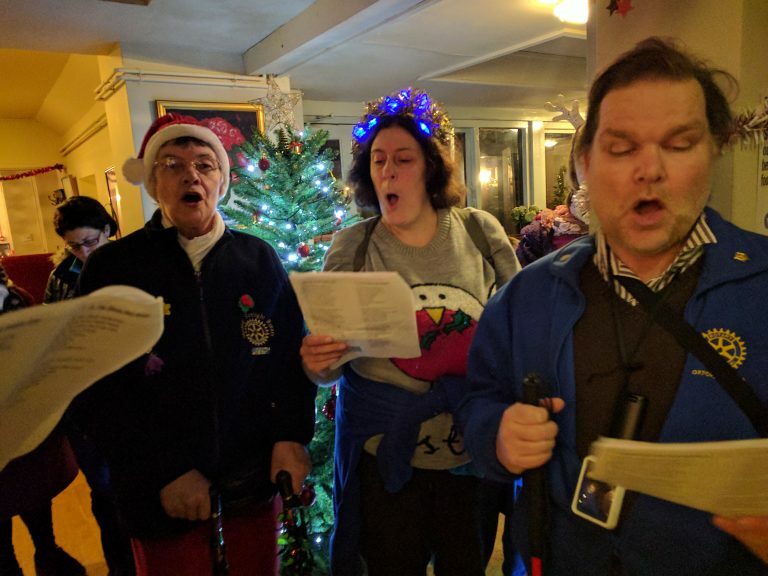 So on this particular night we were singing not only for the charity that helped him and his family, Sobell House Hospice, but we were also singing in his memory. 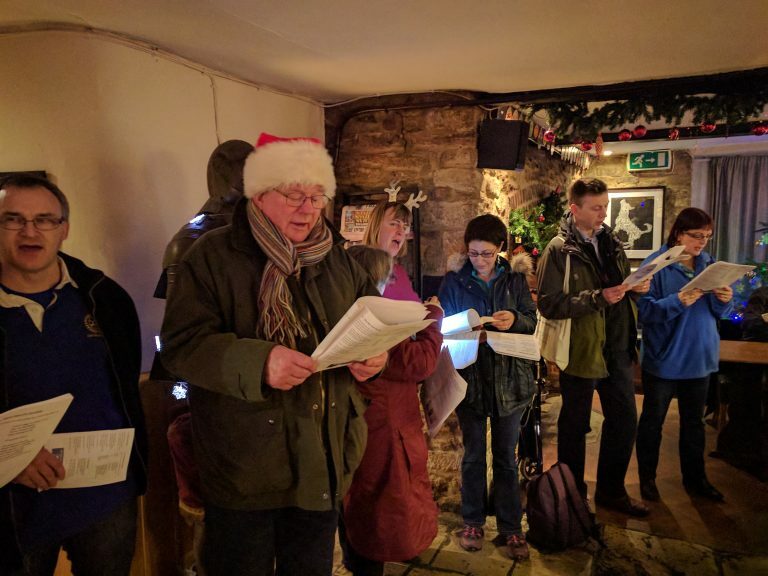 All the venues we went to were very welcoming and it was a joy to sing as we wandered around wearing a selection of Christmas jumpers and Christmassy headgear. We finished the evening off with a meal then made our way back home through thick fog. I am delighted to say we raised over £279.00 for Sobell House, which was a great result. 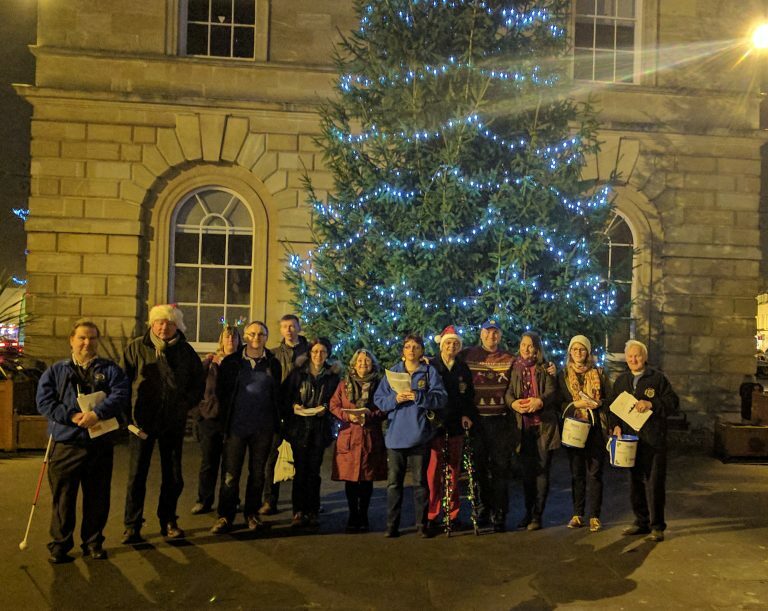 A big thank you to all the people of Woodstock who contributed to a great charity. We look forward to returning to sing again next year.